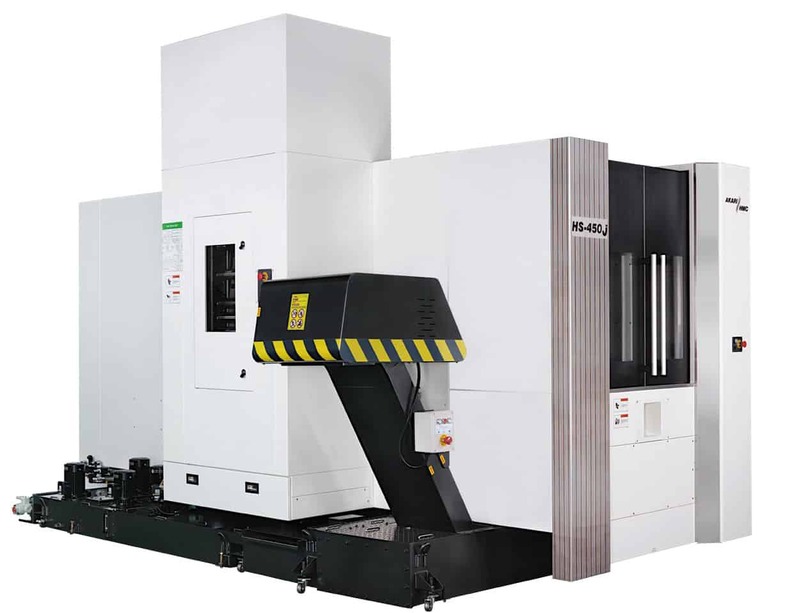 With a specification that includes 1g or higher linear acceleration to 60 m/min rapid traverse and 20 m/min cutting feed, 1.2 seconds toolto-tool change and seven seconds pallet change, the new Akari HS-450j 4-axis horizontal machining centre from Whitehouse Machine Tools is one of the most productive on the market for producing components within a nominal 600 mm cube. Its other notable quality is the competitive price. Of similar construction to the identically sized sister model 450i, which itself is lower cost than most equivalent machines due to its manufacture in Taiwan, the 450j is even more competitively priced as a result of economies in the machine build. The one-piece bed casting, THK heavy duty roller guideways and BIG Plus 22 kW, 40-taper, direct drive spindle with 30 bar through-tool coolant remain the same. 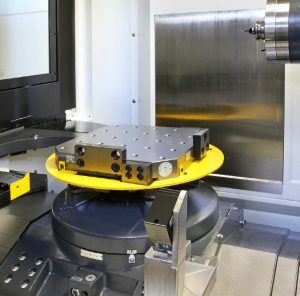 However, the standard full 4th axis rotary table has been replaced by a table with one degree indexing at 16.6 rpm, although the full (0.001 degree) 4th axis is available as an option. A less comprehensive Fanuc M-Pro1 control is fitted rather than a 31i NANO, but the former still features HRVIII high performance axis drives, nano interpolation, 200-block look-ahead and tool life management. Another area of economy has been to remove retrospective field expandability from two to six pallets, as well as the ability to increase the size of the tool magazine up to 220 pockets. Two 400 or 500 mm pallets are the maximum on the 450j and the choice of tool magazine is either 40 or 60 stations. 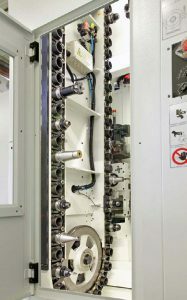 However, for manufacturers that do not require the higher specification and flexibility for the production of components up to 750 mm in diameter by one metre high, the new model is an ideal HMC that delivers top accuracy and functionality at an entry-level cost. Large batches, small-lot multiple-part runs, and even ones and twos may all be produced efficiently, maximum load per pallet being 500 kg.